New music heat has surfaced from Elshady Alhaji the PH based Rapper Elshady Alhaji finally premieres her highly anticipated single. MONEY” a music that blow mind about hustling, Money is the Problem, we all need money in our lifetime Download and Share Your Thought !!! 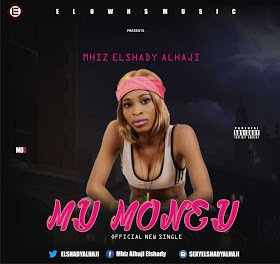 0 Response to "DOWNLOAD AUDIO: Elshady Alhaji - My Money"